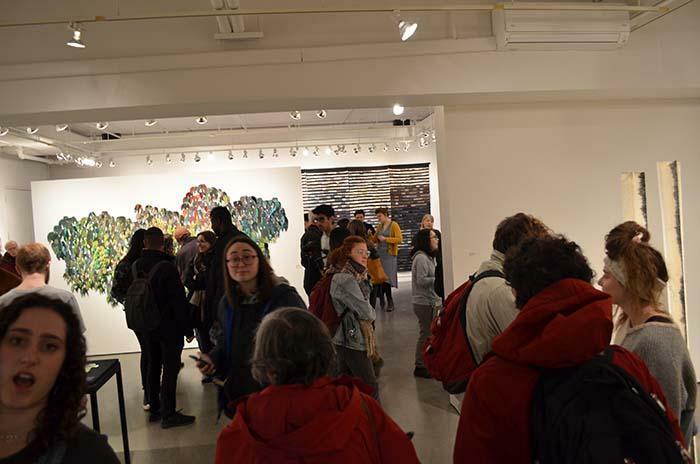 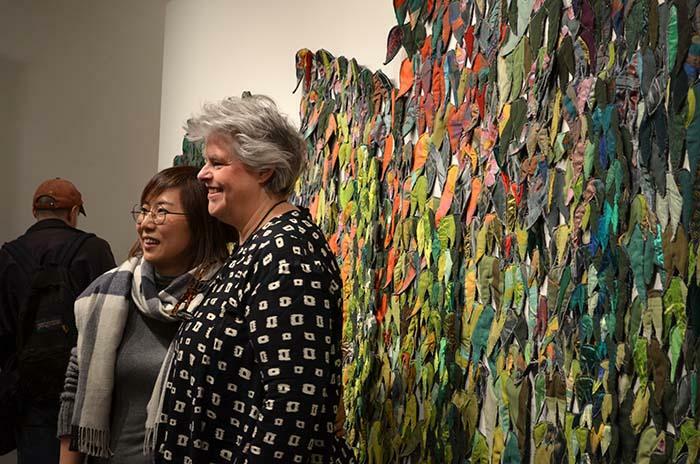 Opening Reception: Thursday, March 21, 5 – 6:30 p.m.
our upcoming fiber exhibition, curated by Skidmore Fiber Arts Associate Professor Sang-Wook Lee. 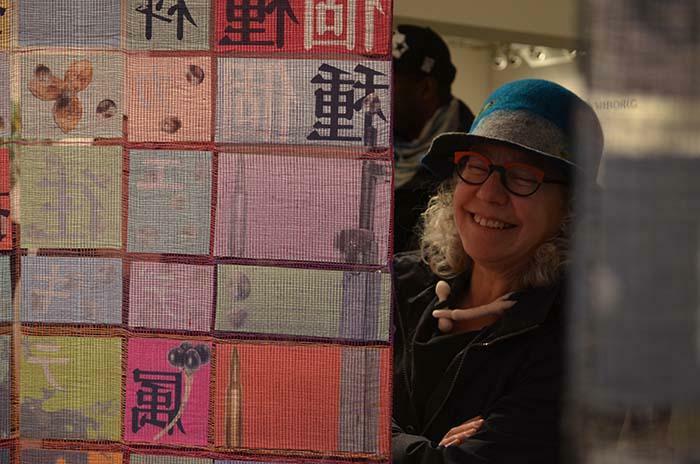 Hiroko Ote blends elements from contemporary and traditional Japanese culture in her weaving, often incorporating photographic imagery or calligraphic text. 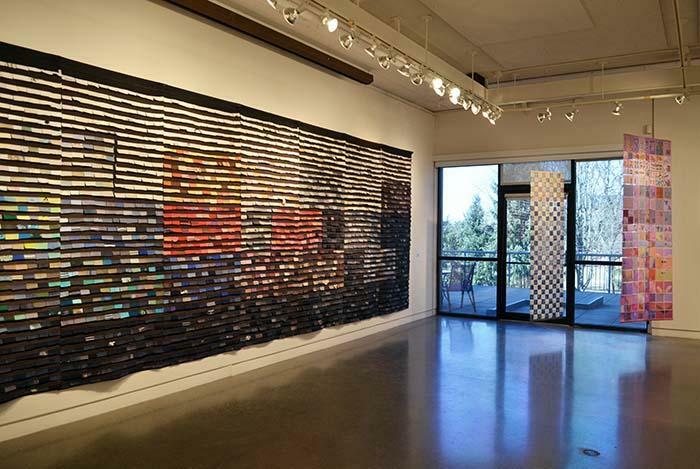 Checker-board patterns form the base of much of her work, growing organically out of the warp and weft of the weaving process. 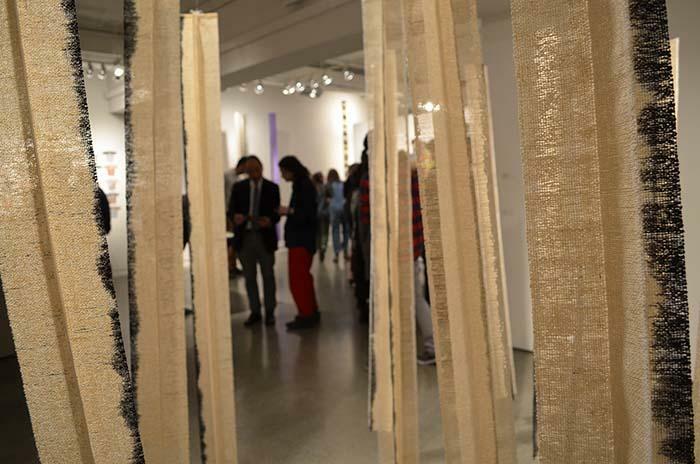 Sometimes brightly colored and other times subtle, sometimes diaphanous, other times opaque and textured, much of Ote’s work is suspended from the ceiling of the gallery, creating a mesmerizing ‘forest’ of fibers. 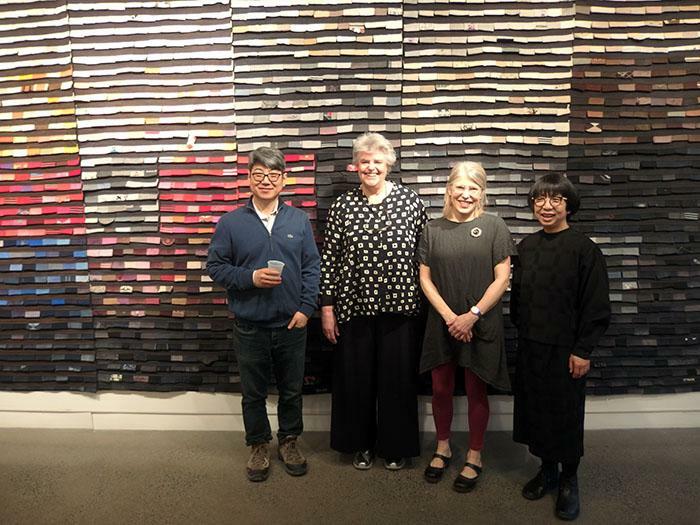 Ote graduated from Kawashima Textile School in 1985; she has shown her work in Japan and China, including the 2010 Lausanne To Beijing Fiber Art Biennale at the Henan Museum in Henan, China. 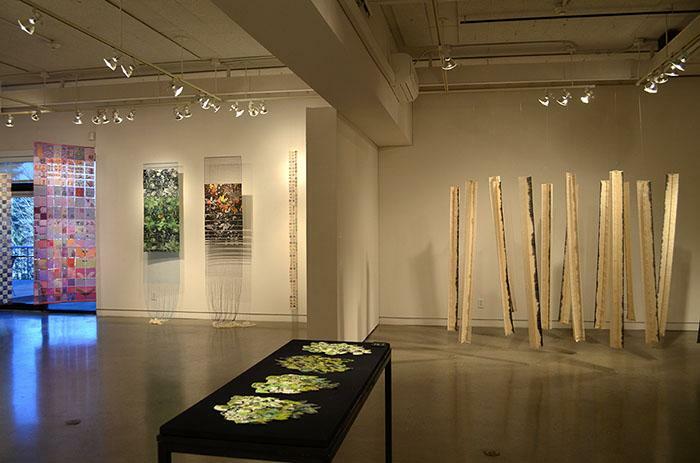 Ote’s work is in public collections at the Kyoto Prefecture and the Museum of Modern Art in Shiga, Japan. 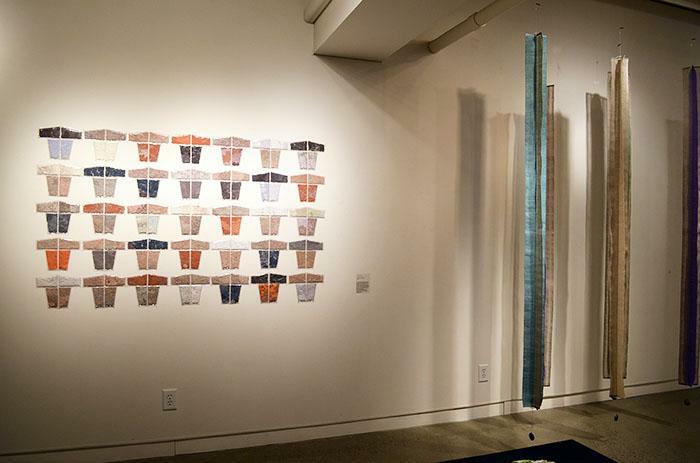 Dutch artist Stef Kreymborg describes her work as an investigation of ‘the interplay between individuals and masses.’ Affected by phenomena as diverse as ridges in the sand, flocks of birds, stacks of folded linen, and traffic patterns, Kreymborg often creates her work through extensive duplication of a single element, using rhythm, structure, and order as guiding principles. 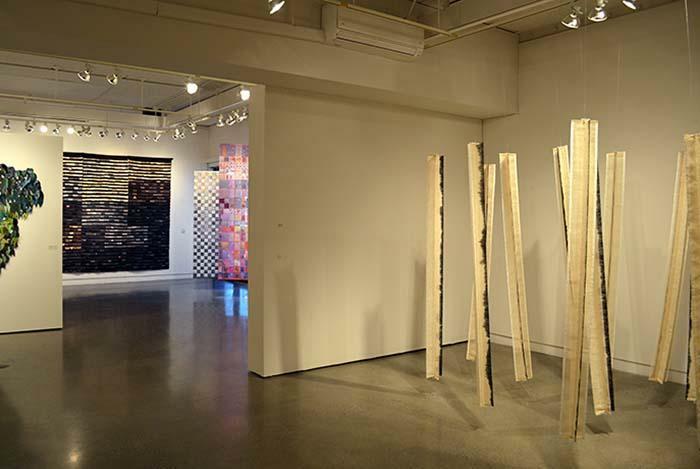 More recently, her work has included an element of community participation. 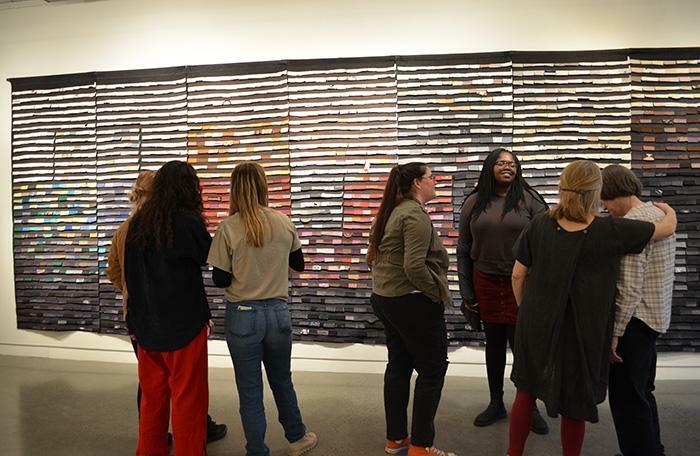 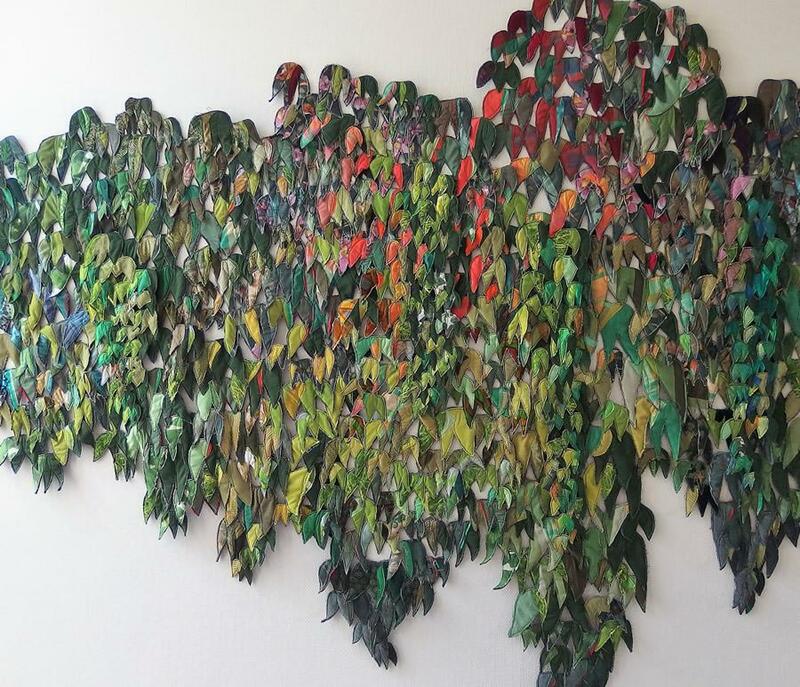 Among other Kreymborg pieces on view at the Schick Gallery will be her Wailing Wall of Lonely Socks, a monumental wall piece made up of thousands of single socks donated via public outreach. 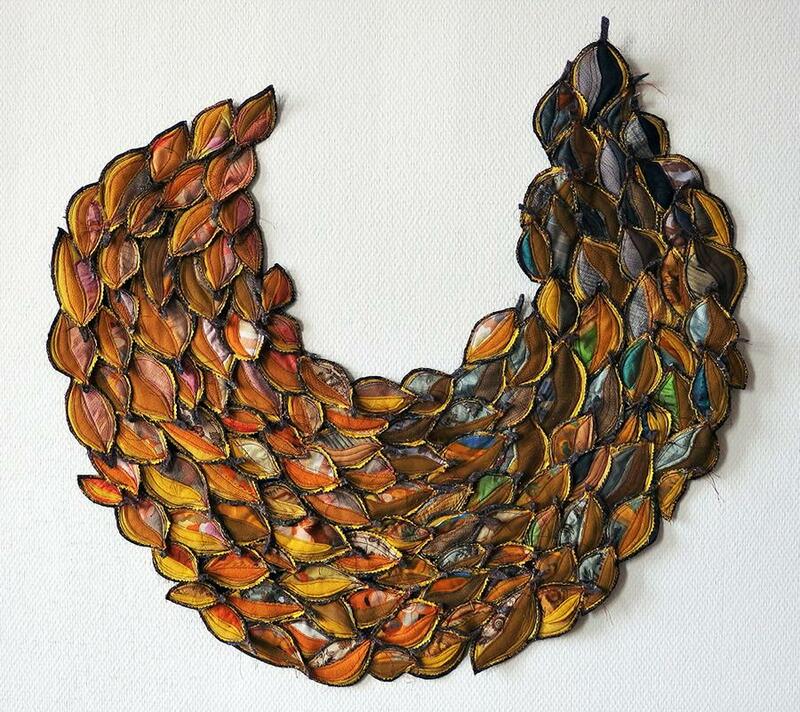 Kreymborg taught textile art for ten years before focusing on the creation of her own work. 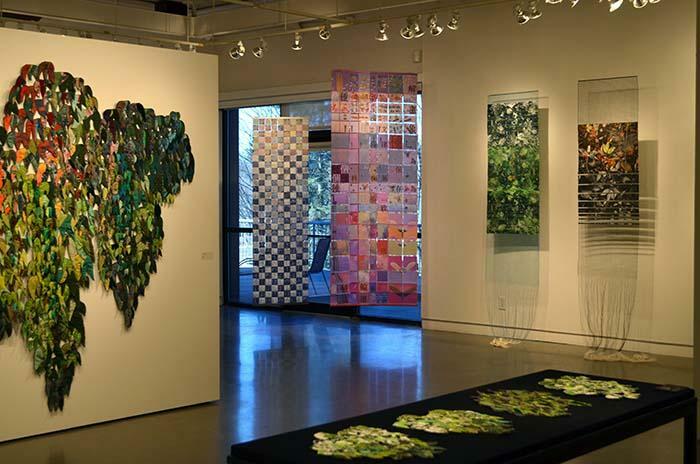 She has shown her work extensively in Holland and across Europe, including the 2017 XI Triennale Internationale des Textiles in Angers, France. 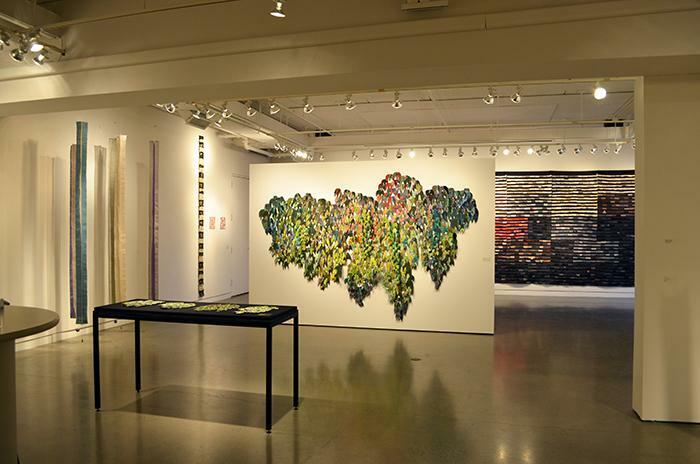 Both artists will be in residence at Skidmore for a week, working with fiber arts students. 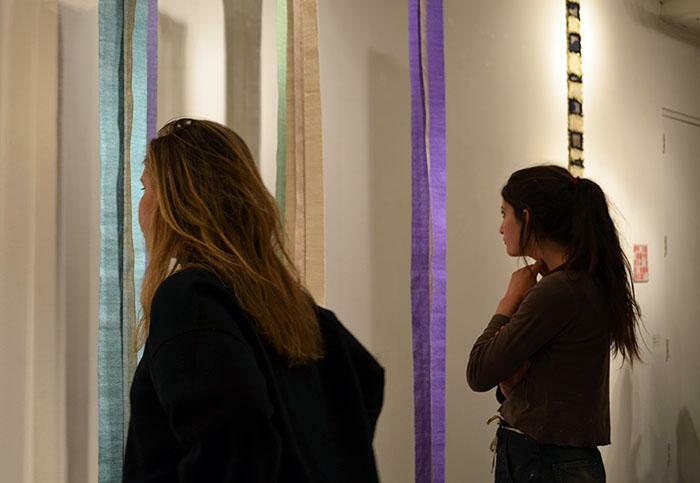 All events at the Schick Gallery are free and open to the public.